Before Combat Lini casts goodberry at the start of each day. 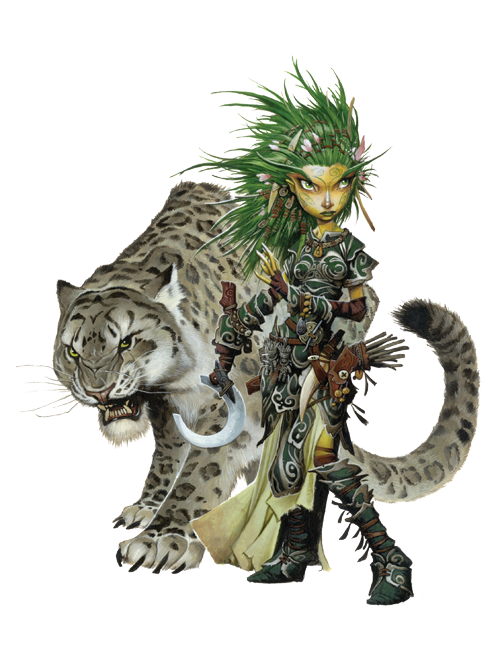 During Combat Lini attempts to stay out of melee, sending her animal companion to fight while she uses her magic to heal, summon allies, and control the environment. Lini always had a way with wild creatures. More than once, her enclave was threatened by some great bear or razor-clawed cat, yet each time she soothed the beast and sent it on its way. In the years since her departure from the Lands of the Linnorm Kings, Lini has collected more than a dozen sticks—one from each forest she has visited. These sticks are a roadmap of her experiences, and each holds a wealth of memories for the gnome druid.